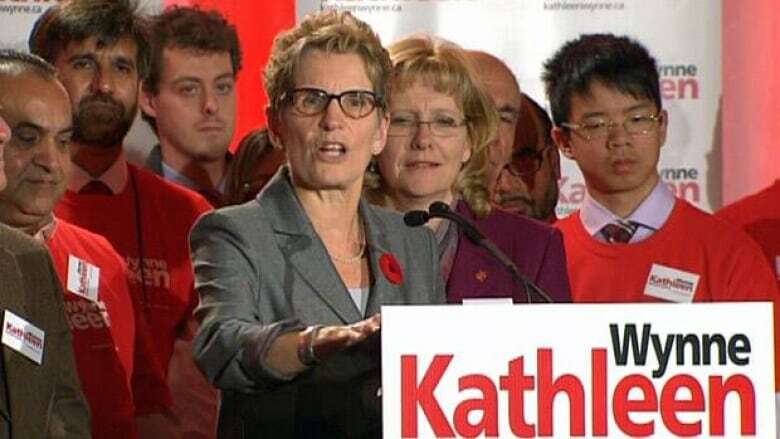 Don Valley West MPP Kathleen Wynne hopes to become the next leader of the Ontario Liberal Party, formally announcing her candidacy on Monday evening. Wynne, who resigned from cabinet on Friday, planted herself firmly as a centrist candidate, promising to repair the Liberals' relationship with teachers while fighting a $14.4-billion deficit. "As a former minister of education, I know how essential that partnership is and how much we risk losing without it," she told a packed room in her Toronto riding. Wynne was first elected to Queen’s Park in the October 2003 election. She has since held several cabinet positions in the Liberal government led by Ontario Premier Dalton McGuinty. 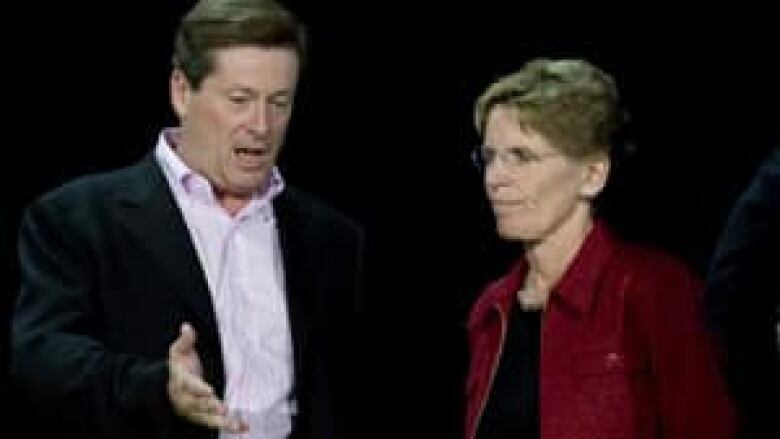 In the 2007 election, Wynne fended off a direct challenge from then-Progressive Conservative leader John Tory, who ran against her in the Don Valley West riding. Tory lost and would not hold a seat in the provincial legislature again. The leadership opportunity Wynne is vying for became open when McGuinty announced last month he was stepping down as party leader. His successor will become the next premier, inheriting a minority government that faces an opposition that could force a snap election. Wynne said the Liberals must choose a leader who will serve their party well, but also one who can rise to the challenge for all Ontarians at a time when the province is facing serious economic problems. "It’s a critical moment for the province because we must choose a leader who can help navigate through these difficult times, who can stay the course on our economic plan, who can help bring opposing sides to the table and find real, creative solutions to the issues that we face," she said. Wynne is the second Liberal MPP to join the leadership contest. Toronto Centre MPP and former Winnipeg mayor Glen Murray announced his own candidacy on Sunday. Former cabinet minister Sandra Pupatello has said she is leaning towards a leadership bid and there is speculation ex-MP Gerard Kennedy, who lost to McGuinty by just 140 votes in 1996, might also take a run at the leadership. Health Minister Deb Matthews could also enter the mix of leadership candidates. Wynne would make history if she won the leadership race, becoming Ontario's first female premier and its first openly gay premier. The Liberals will hold a leadership convention in Toronto at the end of January. Potential contenders must declare their candidacy before a Nov. 23 deadline. A handful of provincial cabinet ministers have bowed out of the race, including Finance Minister Dwight Duncan, Education Minister Laurel Broten, Energy Minister Chris Bentley and Brad Duguid, the minister of economic development and innovation. Opposition critics said Monday, no matter who the next Liberal leader is, he or she will become the face of a party struggling with several controversies — including the costly closure of a pair of gas plants and an ongoing criminal probe into the Ornge air ambulance service. "These people come from a cabinet that has taken Ontario to the brink," said Tory finance critic Peter Shurman, adding that 600,000 Ontarians are still out of work. "It really doesn't matter who succeeds McGuinty," said New Democrat Cheri DiNovo. "Whoever is at the helm has to wear the decisions the Liberal party has made, particularly those who sat in positions of power at the cabinet table," she said. "They're going to have to answer for the movement of the gas plants. They're going to have to answer for the sorry state of our economy and the lack of jobs."